Make sure that your wallpaper photo is in the JPEG format. Other file formats may not display properly. 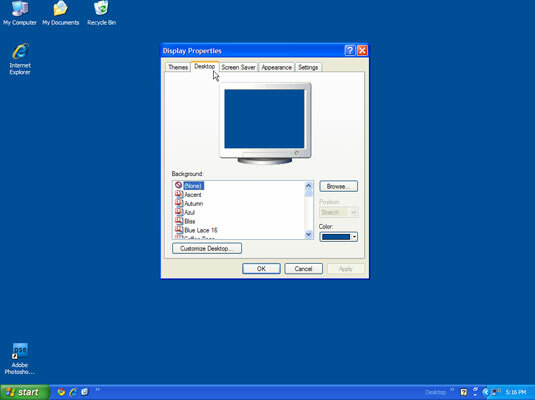 Open the Desktop Properties dialog box. 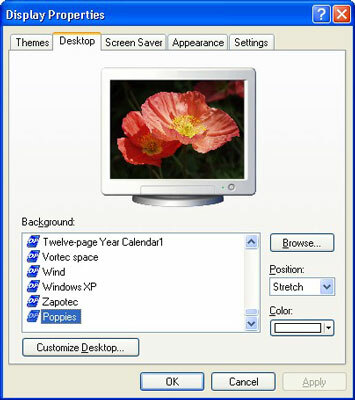 You can open this dialog box by right-clicking an empty area of the computer desktop and then selecting Properties from the pop-up menu. 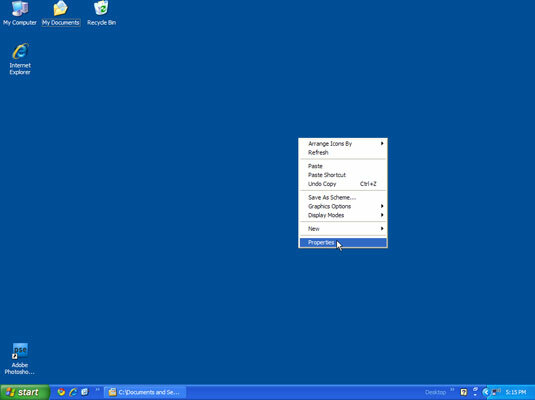 Inside the dialog box, click the Desktop. This displays a series of options. 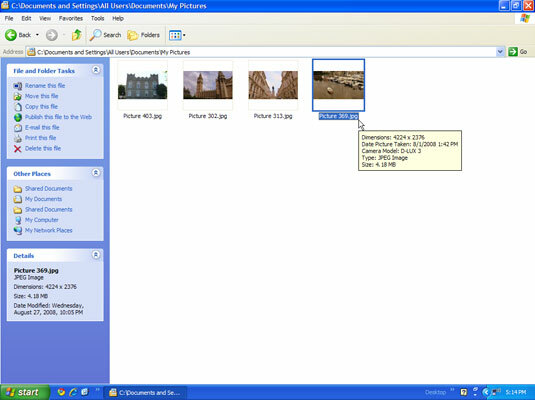 Select the photo you want to use and click Open to close the Browse dialog box. 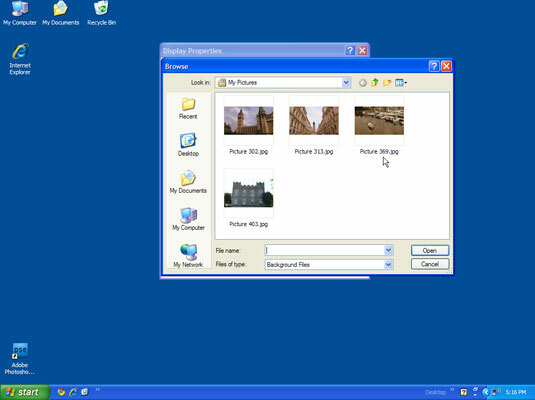 Your picture appears in the preview area of the Desktop Properties dialog box, as shown in this figure. Use the other dialog box options to customize your new wallpaper and then click OK. 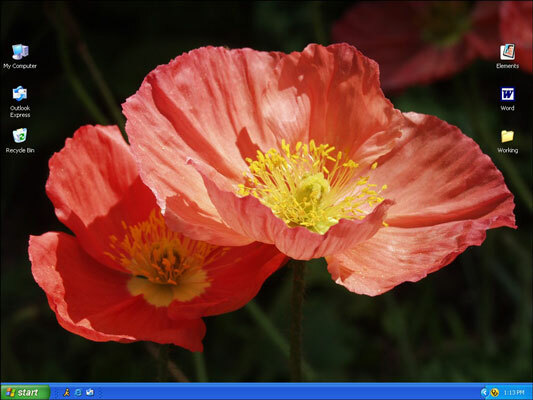 Your desktop now displays your digital photo as wallpaper.